Rubber duck race coming up…! Yes, you read that correctly, the most important cultural event on the Frankfurt calendar is nearly upon us. This Sunday, you can purchase a rubber duck for €5 to compete against thousands of other rubber ducks as they sail happily down the river Main. 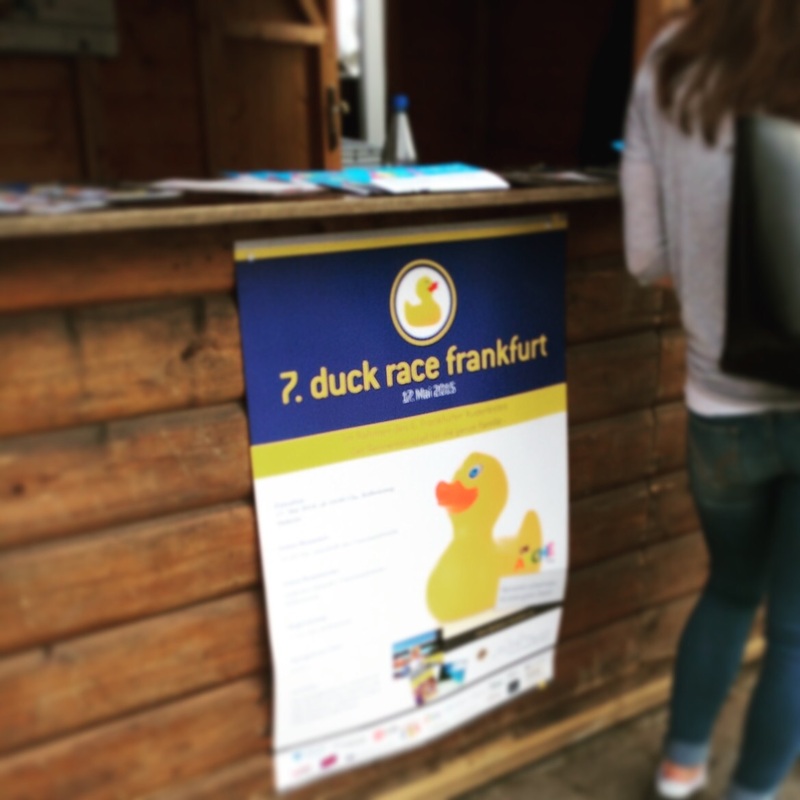 This is in fact the 7th Annual Frankfurt Duck Race and this year’s price for the winner is a one week holiday for two in Maldives. Not bad for a little duck! You can already sign up and sponsor a racing duck at the stand on the south bank of the Main near the ‘Holbeinsteg’ bridge. All profits go to charity and a number of runner up prizes are on offer. Just make sure you sponsor your little duck before those yellow racing birds dash off down the river at 15:30 on Sunday….